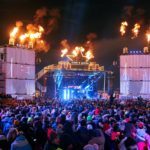 Red Bull’s annual music workshop and festival, Red Bull Music Academy, has set its sights on Montreal for its 2016 event. Last year’s edition came to Paris but saw an unfortunate halt due to the heartbreaking terrorist attacks the city endured in November. The international series travels the world annually to host music workshops, creative discussions, studio sessions, and more in one city with 60 hand-selected new musicians attending the events to better their career. This year’s academy in Canada, however, will take 70 individuals to allow 2015’s second round participants to participate as well. The application for Red Bull Music Academy is now live on the RBMA website until March 7, where hopeful artists can fill out the RBMA application and send in their own productions.